Anyway, that’s the situation at the exclusive Meadowbank girls’ school – the new PE teacher, who has been getting almost everyone’s nerves, has been found shot in the new sports centre. But who in a girls’ school would be carrying a gun? And what on earth does all of this have to do with a recent revolution in the Middle Eastern country of Ramat? This was a common suggestion for the introductory book for my Agatha Christie project at school next term, so does this tick all the boxes? Probably not, to be honest. 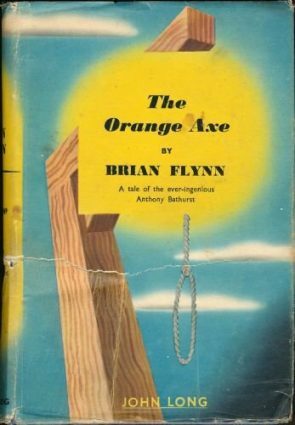 It’s one of those books with a late appearance by Poirot – about two-thirds of the way through – and it doesn’t feel much like a Poirot novel. By introducing Adam the gardener at the start of the story, it feels that he is going to sort things out, but he doesn’t really get anywhere until Poirot shows up and produces the solution out of nowhere. And I do mean out of nowhere. Maybe I missed something, but does Poirot do anything other than gather the suspects and then bring in someone who has recognised the villain before and ask them to point at them? And the second strand to the solution definitely comes out of nowhere. There’s another cheat as well, as we get an insight into the main characters’ thoughts in the prologue and I think, given the nature of the plot, the villain’s insights don’t exactly make sense given what is being planned. Having said all that, it’s a fun read, full of entertaining characters, and Poirot, when he does turn up, is on entertaining form. The plot keeps moving forward and the teachers are refreshingly free of caricature. Recommended, but it’s not going to be the introduction to Christie book. Hmm. After your review of PERIL AT END HOUSE, which seemed critical but fair, I think this is maybe over-generous. There’s some good characters, as you say, but structurally it’s a huge mess, and it needs a millions coincidences for it to work as a story. As a result, I think it’s probably one of the handful of Christies that I didn’t solve. Which I guess could be a recommendation but I think one of the great things about good Christies is that they ARE solvable. I’m not sure if you can legitimately get to the bottom of this one without guessing. Twice. It feels, to me, like a Miss Marple story. There’s a vague and almost wholly intuited solution based in part on observing the traits of girls and women (like BODY IN THE LIBRARY) and the proof is just the production of a witness rather than any real evidence (like 4:50 FROM PADDINGTON). I wonder if it was originally meant to be a Marple, or if it just marks a general shift towards a style of plotting that Marple happened to fit in with better. Good spot on the cheat in the prologue. I hadn’t noticed it, but you’re right. I think that section has some good clues (there’s a sentence beginning “At that moment…” that’s a great example of a trick Christie was an expert at) but the culprit thinks some thoughts that totally contradict what they know is going to happen. Sloppy. Not surprised you didn’t solve it – as we said, there isn’t any hint of fair play here. But it’s fun – possibly as a teacher, I got more out of the background – but it’s a long way from being her best mystery. I don’t think it was a Marple – my gut is that the original version had Adam as the sleuth – with maybe a relationship developed more to give it a bit of a kick. Or maybe not. Puzzle Doctor – Thanks for this review of a novel I have always liked. You make some very fair points about the book’s “holes,” but it is a fun, good read. And I agree about the whole teacher thing! Injustice I call it. One of the things I like about this novel is that in it, Christie gives the nod to the earlier Mrs. McGinty’s Dead. It’s a neat little tie-in to that story and a nod to regular readers. Gives some continuity to the books, too in my opinion. I noticed the Mrs McGinty reference and it did make me smile. Along with the attempt to lever the phrase “Cat Among The Pigeons” into the dialogue several times. You get the impression that Poirot has just heard it before the girl knocks on his door and is trying it out as a potential catchphrase! 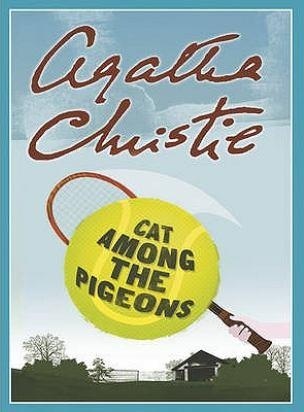 I just finished reading this book and I really liked it but it’s my first time reading a book by Agatha Christie. The only thing is that I don’t seem to find any clues that can lead you to the murderer. So can you please read this comment and tell me a few clues. Thank you. As I said in the review, that’s the problem with this one – the solution comes out of nowhere. This novel was interesting but seemed an awful lot like the clocks. I totally agree on what you said about Poirot getting the ending out of nowhere… And I am always disappointed by the Poirot novels that have some other detective at the beginning who you think is going to solve the whole murder before Poriot even comes in. 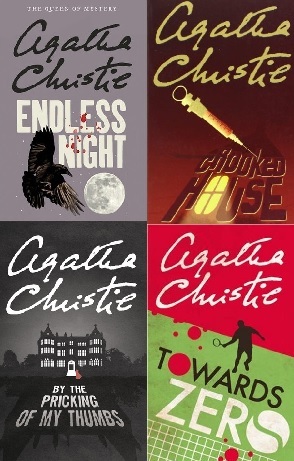 Are all of the later Poirot books like that? I think these are the only two where Poirot is apparently parachuted in (by the publisher? ) 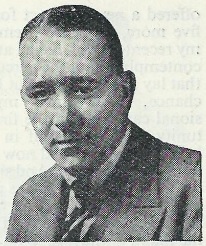 from the later books. If anyone can suggest another one? I think Poirot’s more of a presence in that one – he turns up latish (like After The Funeral) but still gets a fair amount of page-time. Interesting to hear that about the stage play. Thanks.